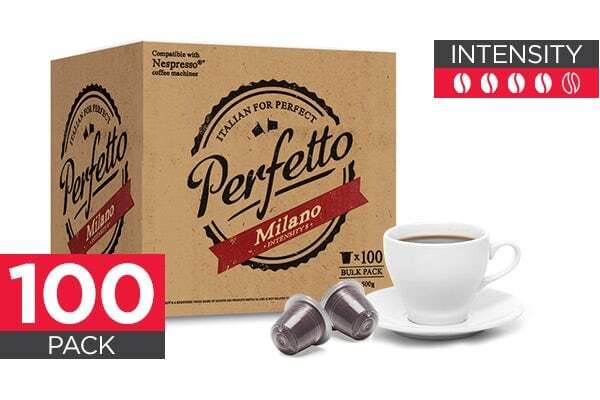 Enjoy a moment of indulgence with Perfetto Nespresso Compatible Coffee Pods (Milano). The soothing honeyed undertones, balanced by mild acidity, create a well-rounded, bright taste. Perfetto Coffee Pods are made using the highest-quality beans which are roasted and packed locally to ensure fresh and flavoursome coffee.